Blue Sports Watch Wryst Elements PH7 Swiss Made limited edition in black with blue details. 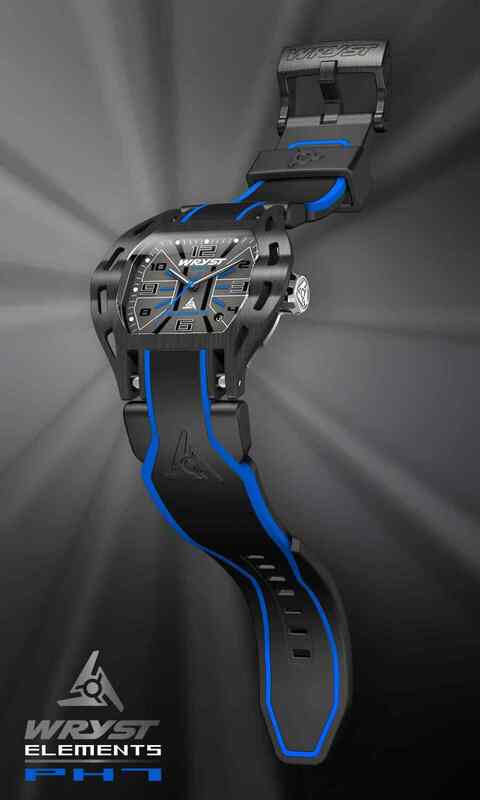 The PH7 is a highly collectible sports watch with luxurious and aggressive feel. Dedicated to a sportive crowd thirsty of new outdoor adventures, Wryst is offering a unique style of an unprecedented blue sports watch. These exclusive timepieces with world's most scratch-resistant black DLC coating will withstand rough activities and hostile environments. 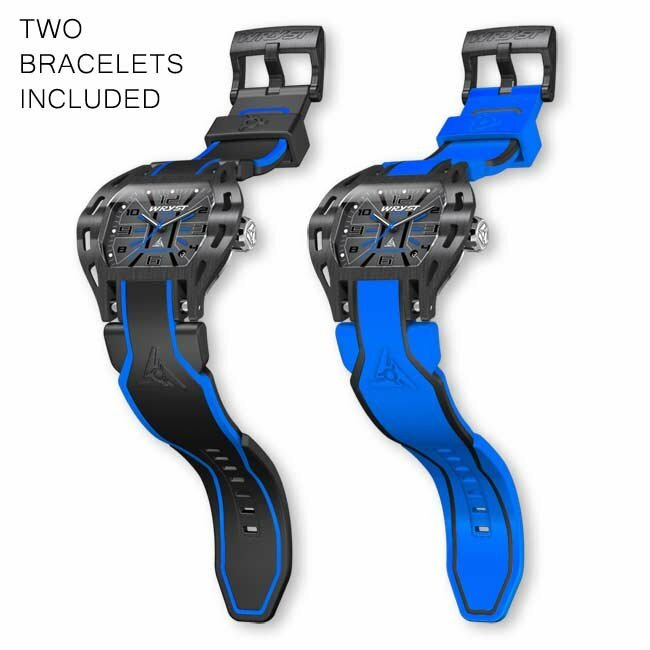 A complimentary spare blue bracelet is also included. 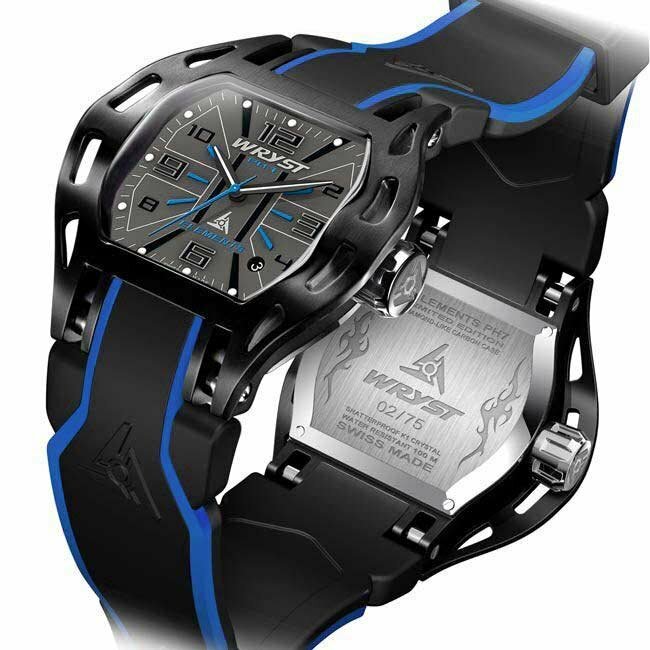 The Swiss blue sports watch Wryst Elements PH7 is produced in limited edition of 75 pieces with serial number engraved on the case back. 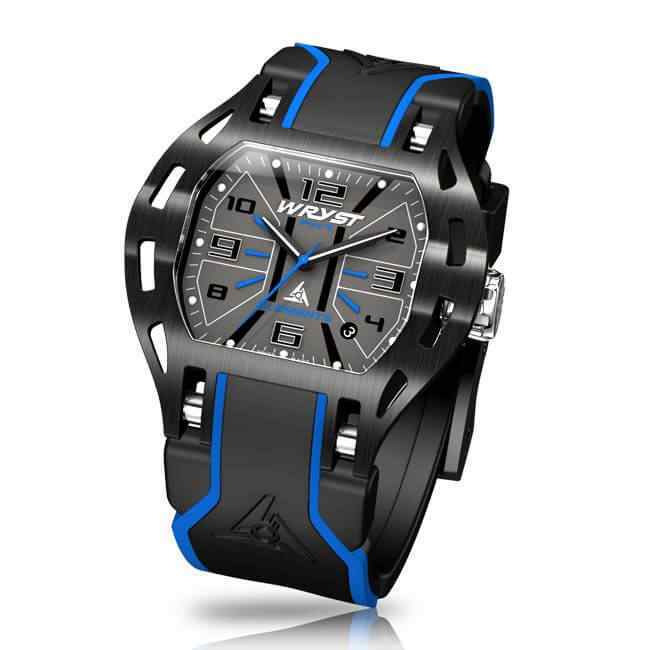 With strong materials such as black DLC coating and K1 shatter-resistant crystal, these sports watches are a superb luxury fashion accessory that will make you feel awesome and confident during your favorite outdoor sports, adventure sports and extreme sports. 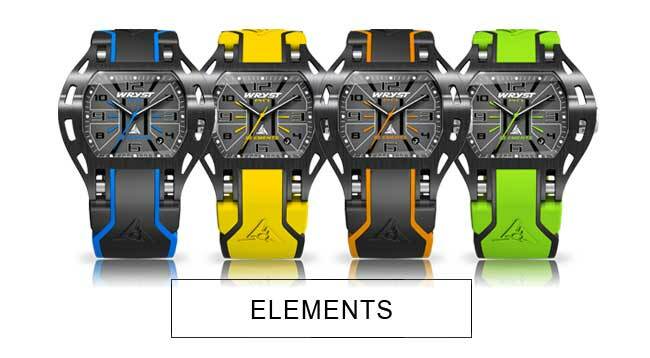 The Elements PH7 is a unique and exclusive limited edition Swiss blue sports watch that looks like no other. 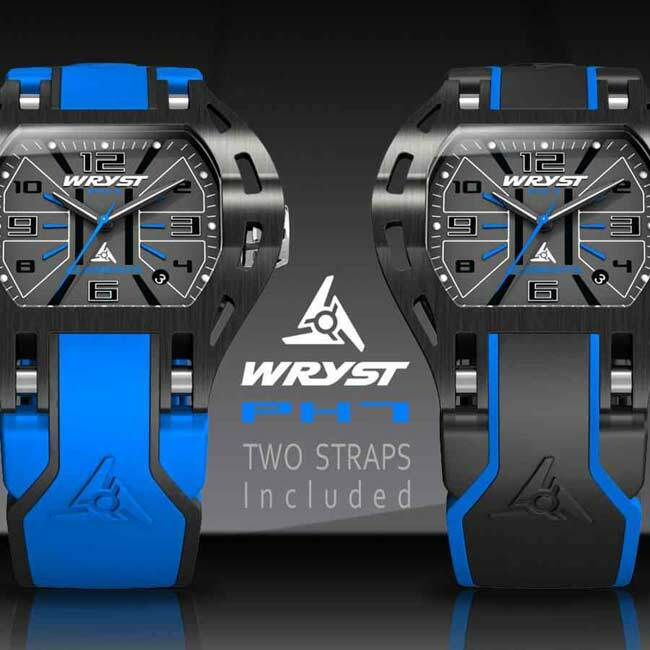 Your Wryst PH7 can be fitted with either the black/blue bracelet, or the blue/black one. Both are included with your timepiece. The serial number is engraved on the case back which provide more exclusivity than most other Swiss blue sports watch on the market. 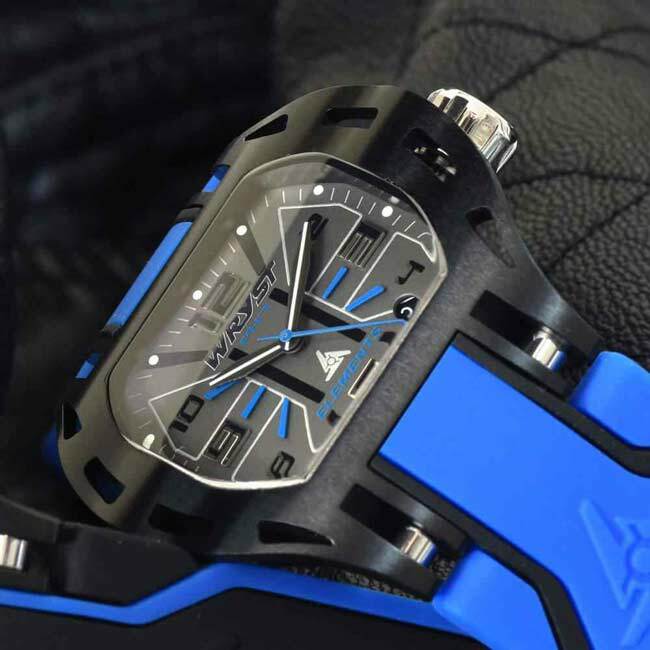 Exclusively available for online purchase, the unique Swiss watch brand Wryst is providing individualists with an impeccable and durable stylish timepiece along with a personalized and empathic customer service. Great watch! very well made and original design. Will wear with pride thank you Wryst team. Thank you my PH7 has arrived today and it was certainly the right move! Best buy this year for sure. 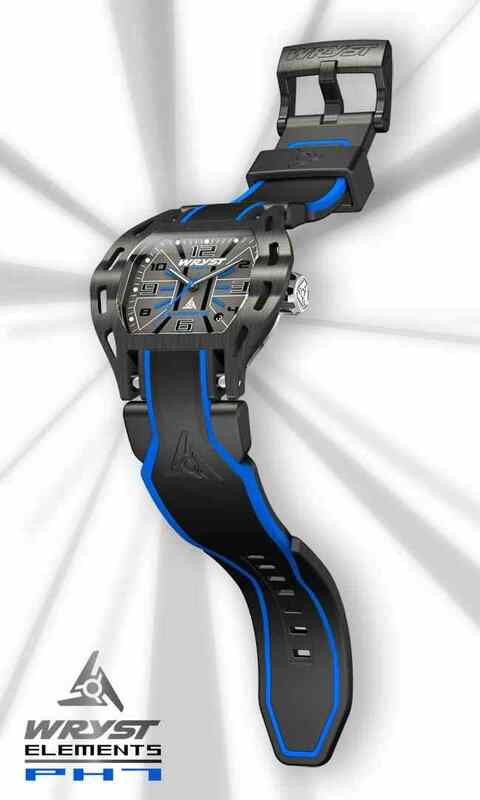 Fitted with the blue strap every one wants to know about this watch. Ace customer service.